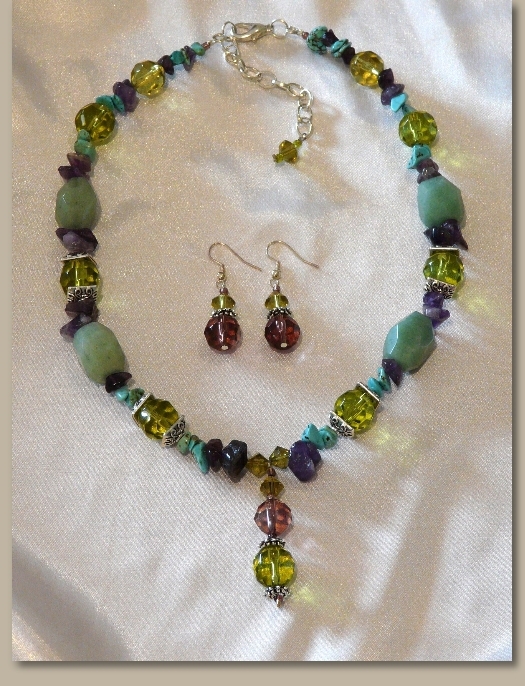 Green Aventurine, Turquoise & Amethyst Semi Precious Stone Necklace with silver-dipped spacers and Crystals. This combination of Semi Precious Stones makes a very unique and different design and looks particularly beautiful when worn with black. Our Green Aventurine Necklaces have matching earring pairs available on request. This gemstone necklace is part of our wholesale range should you wish to order for your store.